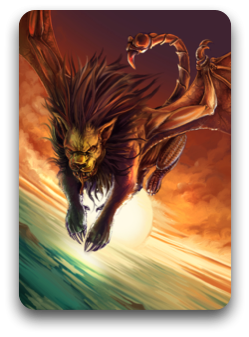 The Winged Manticore roars through the sky and comes down with devastating force. It kills smaller prey with its deadly stinger. I hope you had a pleasant week. 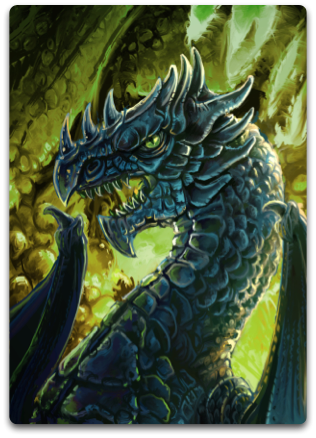 This week we start off with the new cardwork of the Black Dragon! 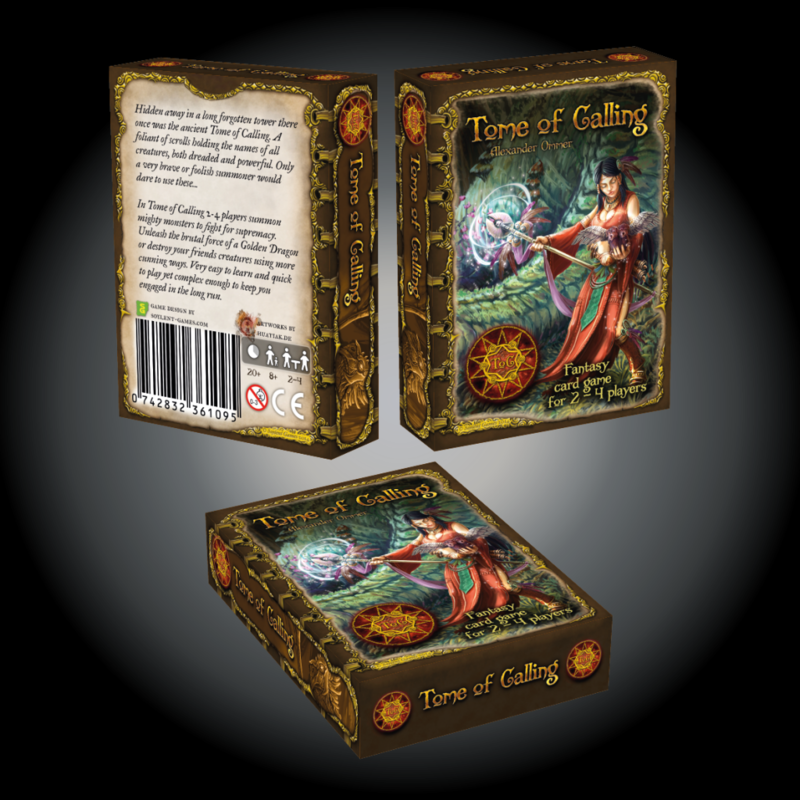 As always I hope you like it and come again this week to learn something about the gameplay of Tome of Calling. 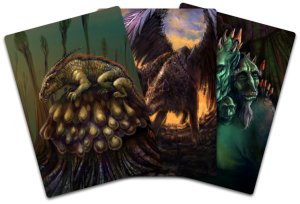 Rampaging through the lands of Faremur the Black Dragon is a force to be reckoned. Its razorsharp teeth and cunning intellect make for an adversary not to be trifled with. Resourcefulness and death are two words commonly associated with this kind of dragon. 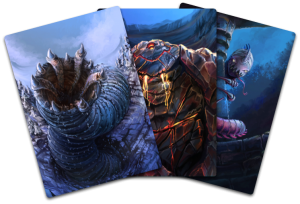 As we are getting very close to our Kickstarter launch for Tome of Calling, we will give you something special to look at. The first of the last 3 dragons to come: The Copper Dragon! 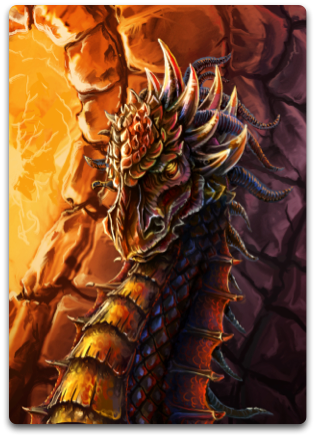 The Copper Dragon is the bane of all superior armies, as its sense for balance always drives it to attack the strongest foes. Tremble in fear and spread the word! 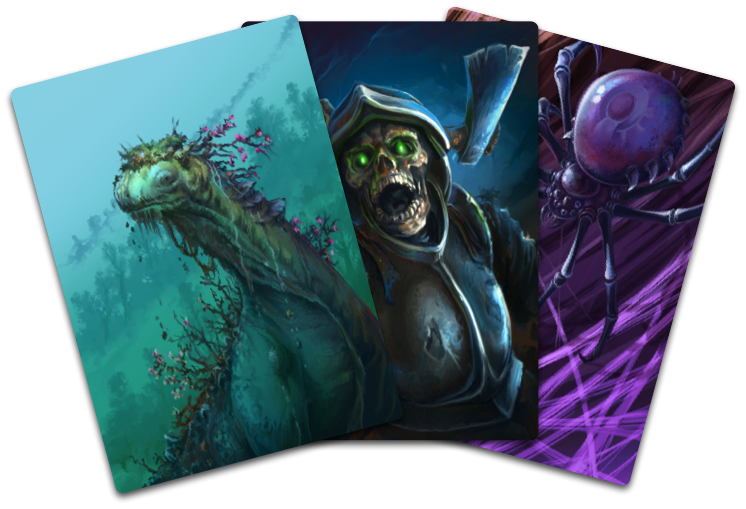 It’s Cardworkday and we start this week with 3 new artworks from Patrick. The Western Storm Seas inhabit the mighty Sea Serpent which hunts for ancient magic in sunken, long forgotten ships. 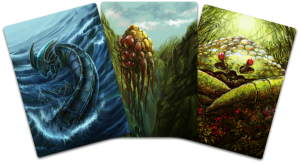 The Floating Horror once might have been an ocean creature but its floating body with many tentacles makes a formidable opponent on land as well. And finally a Forest Crab is the enemy of Forest Ents as its deadly claws can easily snip limb and bark, if the Ent is unaware. Hope you enjoy and spread the word about our little game! It’s Cardworkday and here comes the next preview. Sitting in the marches and hunting for prey the Shadow Hunter strikes fear into even the mightiest of creatures. A pack of Watchers can keep you informed about your opponent’s next move while the Giant Troll regenerates limbs and heads. 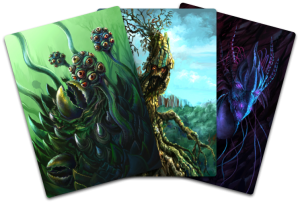 Another „cardworks“ update. The Eye Beast will protect you from spying eyes while the Forest Ent, as a true guardian, will keep you completely out of harms way. 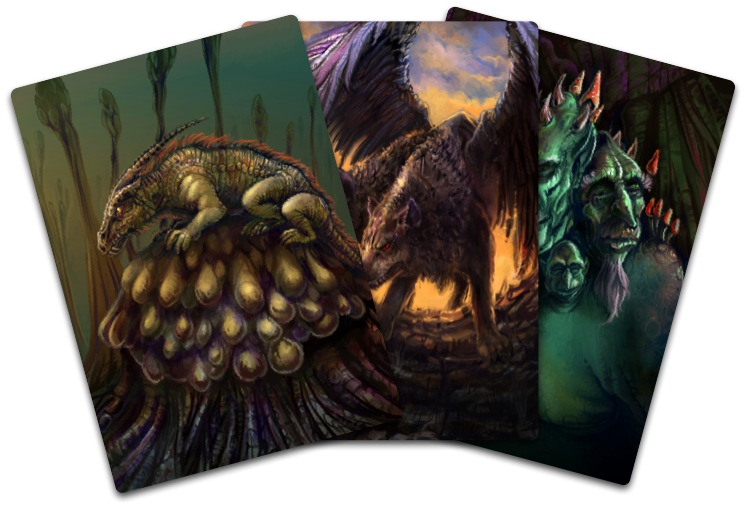 The Shadow Dragon however is a more cunning creature that can be either big or small winning every face-to-face battle.